The vast majority of the breaches saw between 1-1000 individuals impacted by the breach, with the range of 1-10 individuals accounting for 41% of the reported breaches. 85% of the breaches involved the loss of contact information, while 45% included financial details and 35% included identity information. While 57% of the breaches were caused by malicious or criminal attacks, the 37% that were caused by human error shows that we have some way to go with our education and enablement programs, as well as the deployment of technical controls to act as a backstop in such cases. 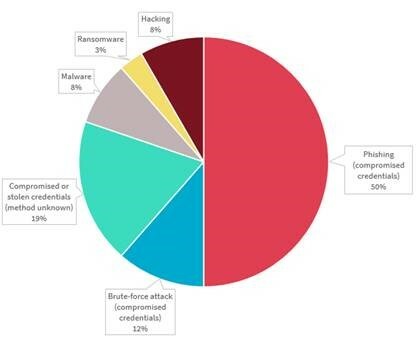 The following chart breaks down the malicious or criminal attacks, clearly demonstrating that the majority of such cyber incidents were caused by phishing or password brute-force attacks, for which the deployment of multi-factor authentication (MFA) is a very effective mitigating control, along with a solid and ongoing employee awareness campaign. On the plus side, this quarter saw only a marginal increase in the number of reported incidents, from 242 last quarter to 245 this quarter. On the down side, the number didn’t go backwards. For those who are interested in reading the full report, you can find it here. Dark Reading have reported that researches at Armis, an IoT security company, have found 2 separate vulnerabilities in Texas Instruments Bluetooth Low Energy (BLE) chips that are used in WiFi access points (AP's) manufactured by Aruba, Cisco and Cisco Meraki. These three vendors account for roughly 70% of the enterprise WiFi AP market. The vulnerabilities are called “BleedingBit”, and could be exploited by sending a specially-crafted packet or series of packets to the vulnerable AP's. In the first vulnerability, the specially-crafted packets could cause a stack overflow, allowing arbitrary code execution on the AP. The second vulnerability, which only impacts Aruba devices, leverages an Over-the-Air Download (OAD) feature to obtain a hardcoded password and completely overwrite the device’s operating system. Both Cisco and Aruba have released security advisories on the vulnerabilities. 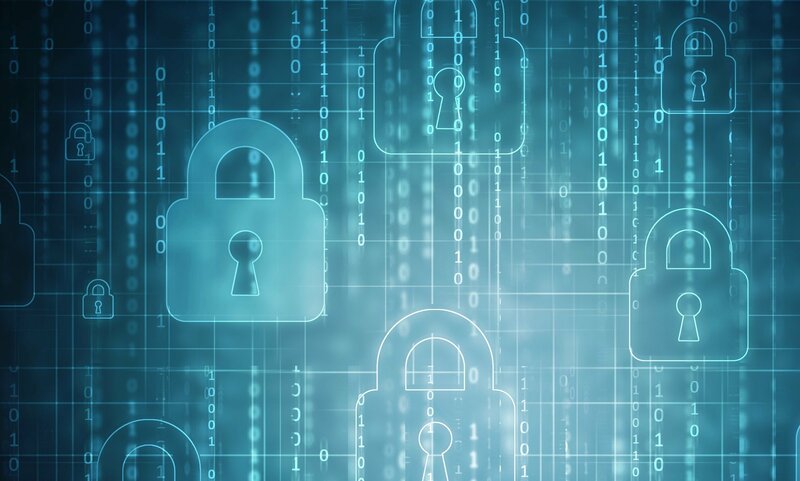 Customers running Cisco or Aruba AP's should review the relevant security advisories for impacted products and follow the vendors’ recommendations to address these vulnerabilities. An Apple (update) a day keeps the "h4x0r5" away! Apple have released an update which addresses a number of security vulnerabilities – including information disclosure, code execution and privilege escalation – in their core products, according to Bleeping Computer. One such issue, CVE-2018-4367, allows remote attackers to initiate a FaceTime call from your device through a code execution vulnerability. There are three other FaceTime memory corruption issues addressed in the updates that could also lead to arbitrary code execution. Apple users are recommended to upgrade their devices to the latest versions to address these security issues. Austal designs, constructs and maintains the Cape Class Patrol Boat program for Border Force and the Royal Australian Navy, as well as the Guardian Class Patrol Boat for the Commonwealth of Australia. No details have yet been provided on the cause of the data breach.